a heated pool, Jacuzzi, tennis courts, deck, tables umbrellas, and lounge chairs. The bedrooms have one king, one queen, and two twin beds . The balcony comes with a round table and four chairs for your private top floor view of the ocean . You are assigned one parking space under the building and close to the elevator for your convenience. The building is next to trolley stop . I just love the beach and enjoy spending time at my condo with my family. I hope you will too. 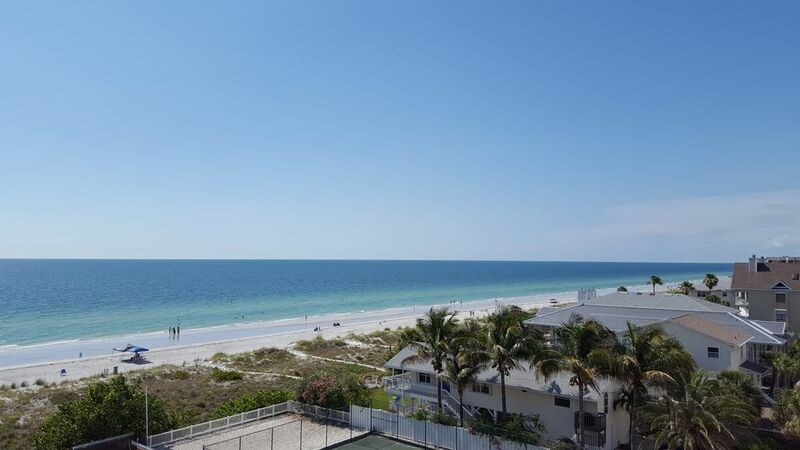 I like the relaxed feel of family friendly Indian Rocks beach and The Reef Club has great amenities that are not available at most properties.